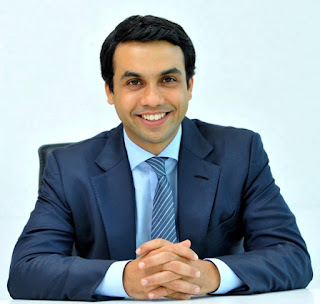 Godrej Properties Ltd. (GPL) (BSE scrip id: GODREJPRP), one of India’s leading real estate developers, announced that it has sold over 1,000 apartments across three new project launches - Godrej Origins at The Trees in Mumbai, The Suites at Godrej Golf Links in Greater Noida, and Godrej 24 at Hinjawadi, Pune - since March 2017. Godrej Origins at The Trees in Mumbai witnessed sales of 130 apartments within the first week of launch. The Suites at Godrej Golf Links in Greater Noida received a tremendous response with 500 apartments being sold within the first month of its launch. Godrej 24 in Pune saw sales of over 450 apartments within the launch weekend. Godrej Origins is the company’s newest residential offering at The Trees, Godrej Properties’ flagship project in Vikhroli, Mumbai. Godrej Origins is located in the central mixed use precinct at The Trees; spread over 9.2 acres, this precinct will also contain a Taj hotel, cultural buildings, landscaped areas with public art, and a high street retail court. The Trees was awarded the Mixed Use Development of the Year award at the Asian Customer Engagement Forum (ACEF) Property Awards and received an Honor Award from the Boston Society of Landscape Architects. Godrej One, the first completed building within The Trees, received the Commercial building of the Year Award at the NDTV Property Awards 2015 and the Commercial Building of the Year at the Construction Times Awards 2016. When The Trees was first launched in 2015, 300 apartments were sold in the first week of launch. Godrej Origins built upon that success with 130 apartments worth 400 crore sold in the launch week. Godrej Golf Links, a golf and recreational residential township spread across 100 acres in Greater Noida, will house a community of residential villas, apartments, a 9-hole golf course, and a wide range of recreational features. Godrej Golf Links comes with 12,000 sq. meters (125,000 sq. ft.) of active living areas, which house an iconic clubhouse, retail spaces, a sports arena, and a golf academy. The Suites is the latest offering at Godrej Golf Links; the project was launched in November 2016 and 600,000 sq. ft. of villas were sold on the launch day. With the success of both the villas and The Suites, total sales at Godrej Golf Links in the last six months have been well over 700 homes with approximately 1.3 million sq. ft. of area. Godrej 24, is located in the heart of Phase 1 of Hinjawadi IT Park, Pune and has excellent connectivity to the Mumbai-Pune Expressway. Spread over 8.5 acres, the project has been designed as a modern residential development comprising of premium 2 and 3 BHK residences with customers having access to essential conveniences and amenities 24x7; amenities like a crèche, pharmacy, convenience store, laundry, gymnasium and many more will be available to residents round the clock. The project received a fabulous response with 450 apartments with an area in excess of 500,000 sq. ft. sold on the launch weekend. Godrej Properties brings the Godrej Group philosophy of innovation, sustainability and excellence to the real estate industry. Each Godrej Properties development combines a 120 year legacy of excellence and trust with a commitment to cutting-edge design and technology. Godrej Properties is currently developing residential, commercial and township projects spread across approximately 13 million square meters (133 million square feet) in 12 cities. In the last five years, Godrej Properties has received over 200 awards and recognitions, including the "Real Estate Company of the Year" at the Construction Week India Awards 2015, the "Professional Excellence in Real Estate” at the ABP News Real Estate Awards 2016, the “Most Reliable Builder for 2014" at the CNBC AWAAZ Real Estate Awards 2014 and “Innovation Leader in Real Estate” award at the NDTV Property Awards 2014.